Citizen Of The World - Setting Out. 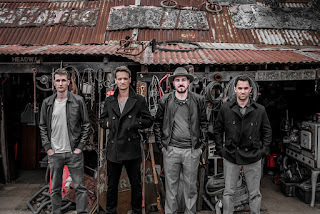 Background - Citizen of the World has built on the success of the foot stomping folk-rock genre, popularised by the likes of Mumford & Sons, to carve a new genre described by one competition judge as “epic folk”. 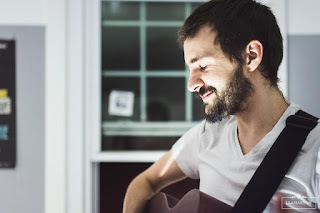 The band successfully combines the unique sound of the saxophone with acoustic folk and traditional rock to have you reflecting on the stories that shape your life. Since forming in 2012, the band has played at various venues and band competitions around Sydney, toured India, released their first EP and is now releasing their third music video. Daniel Amedee - Everything Will Change. Background - Daniel Amedee is living proof that a musician can be from New Orleans, but not necessarily be of New Orleans, a distinction that courses through his quirky, eccentric songwriting style, informed by a haunting bluesy vocalese that scratches the soul somewhere between Tom Waits and Captain Beefheart, and certainly belies Daniel’s 28 years. In fact, he’s been at it – writing and producing his own music (and getting by with a little help from his friends) since age 14. Which prompts the question: How and where did this unassuming bundle of talent come to be inhabited by the avant garde spirits of progressive rock and guerrilla classical that suffuse his debut CD, Themes From (ExPat Records, 2011) and it’s follow-up Climbing (Arabella Music, 2013). The Altered Hours - Silver Leather. 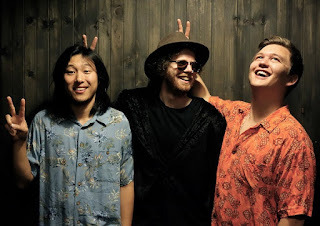 Background - Following the organic buzz that arose from “Way Of Sorrow”, the Altered Hours are set to make a further mark on the flourishing psych-rock scene with the direct, sultry follow-up “Silver Leather”. The band, whose sound has been continually honed over the last few years, have been building a solid identity that will be truly apparent from their upcoming debut. 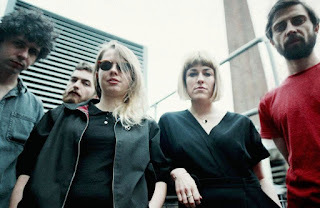 Already a real prospect live, their shows are known for their intensity and the band's ability to envelope both themselves and the crowd in their sound – but where so many focus on the textures, The Altered Hours set themselves apart with as much a focus on the songs themselves. The group have toured Ireland, the UK and Europe and have won critical acclaim along the way. No Monster Club - Lemonade. 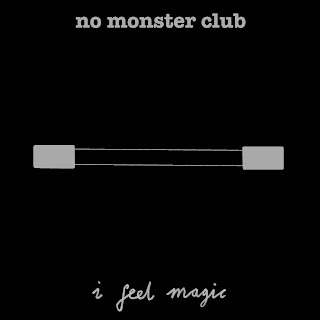 Background/promo - The new album 'I Feel Magic' from Ireland's No Monster Club - the follow-up to this year's highly acclaimed 'People Are Weird' LP, will be released by Popical Island on February 5th 2016. 'Lemonade' (the first single to be taken from the album), basks in a strange, new found intersection of Future Islands, Talking Heads and early Flaming Lips. Prolific Irishman Bobby Aherne may well be one of the best kept secrets in the world of underground pop music. In addition to a previous life using the moniker 'Dublin Duck Dispensary' (and his work as a member of Grand Pocket Orchestra, Women's Christmas, Paddy Hanna and Ginnels), this album marks the 28 year old's eleventh - and most fully realised - release as No Monster Club. Strange Faces - Brand New Way. Background - Strange Faces is a four piece rock band from Chicago, IL, originating as the solo project of David Miller in 2013. 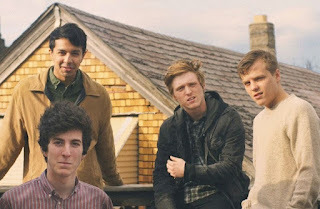 Delivering lo-fi punk rock with 60s pop hooks, the band now consists of front man David Miller, guitarist Taylor Walters, bassist Phillip Valdez and drummer Ben Leach. Their debut album "Stonerism" is out this December 11th via Autumn Tone Records. The album was mixed and mastered by Cadien James of Twin Peaks. 'Brand New Way' is the tenth track on this eleven song album. With opening riffs reminiscent of The Kinks on Waterloo Sunset, the song soon emerges itself into a very different psychedelic atmospheric piece. Only one of two songs I have heard from the album, but based on that, the band sound like they have considerable depth and imagination. Background - After a one and a half year hiatus, Melbourne instrumental electronic outfit Squarehead return to push the boundaries of what music can be with their new single 'Citamenic'. It happens too often. You find a band you love, so you shell out for their live show - only to be bitterly disappointed by the difference between what you heard from your speakers and what you hear at the gig. It’s too stripped back, too rough, too cacophonous… you go home, dejected. Not so with ‘Citamenic’. The track, which premiered recently on Happy, paints a picture of exactly what to expect at a Squarehead gig. The name itself, a mirror of “cinematic”, speaks volumes of the track’s vivid nature; beginning as a low-key wall of sound and building to a bubbling, celestial conclusion. ‘Citamenic’ marks the imminent arrival of a brand new two-track from Squarehead, produced by Melbourne’s P.T. Parcel, that sees the band sitting squarely in their prime.